Emanuele Ammendola was born in Neaples and grew up in the ancient town of Somma Vesuviana situated at the foot of mount Vesuvius, the Volcano. He took his degree in double bass while he was studying humanities, cultivating a strong passion for Pop music, singing jazz and world music. Tammuriata – a typical musical form from the Vesuvius surroundings music - has nourished Emanuele since he was a child. His debut album is “Dalla terra dei Fuochi” (From Fireland), with some tracks broadcasted on Radio Rai. 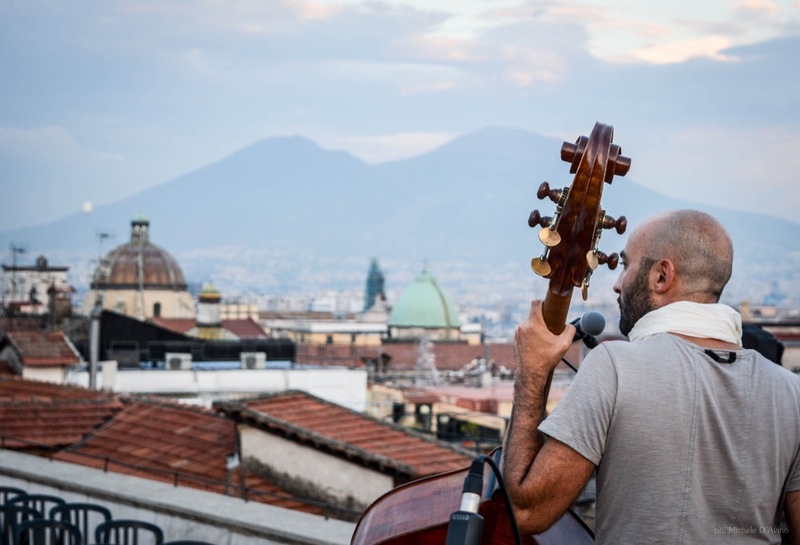 After three years of staying in Milan he released the album, Migrà, the result of his experience in the northern Italy: a pop album with ethnical and jazz influences and with a Mediterranean acoustic sound awards. Finalist at National award Fabrizio De Andrè 2016 with “Saglie” (track n 1). Semifinalist at the national competition “Musicultura 2016”. - Award “Ugo Calise Festival 2016” for best unpublished song with “Rosa ‘e miez a via”(Track n 5). - Award “Fest Med 2016” for best unpublished song with “Nun Cagna Maie”(track n 2). This song is ispired to an ancient folk music played and danced on the slopes of Vesuvius, near Naples. - Award “Disco Martini 2016” at Mia Martini festival 2016 for entire “Migrà” Album. - Award “Terra Mia” at Nano Festival 2016.